Showing results by narrator "Aundrae Dair"
OTR fans rejoice! Tired of listening to the same shows? 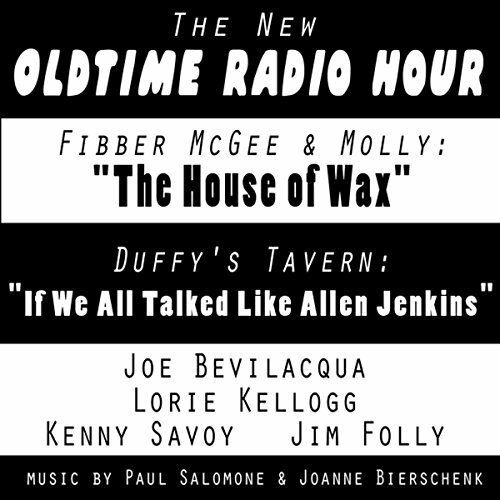 Here are two NEW OTR stories, produced with wonderful sound effects and music by veteran radio-theater producer Joe Bevilacqua and performed by Liquid Comedy: Joe Bevilacqua, Lorie Kellogg, Kenny Savoy, and Jim Folly, with Aundrae Dair, and music by Paul Salomone (piano) and Joan Bierschenk (bagpipes). This hour of comedy was recorded before a live audience at SUNY Dutchess in Poughkeepsie, New York, on March 20, 2007.